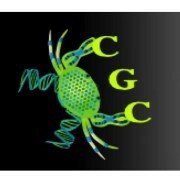 Lee R, Pattillo R, Bouzyk M, Oprea-Llies G, Matthews R.
AKESOgen scientists attended the CGC-CAGdb meeting in Denver, CO August 3-5, 2015. Thanks to all who came by our booth and for your support. Please email info@akesogen.com or call 770 542 0890 if you want to follow up or to discuss your clinical array needs.